It is wicked cold where I am (13 degrees Fahrenheit), which makes me appreciate the weather back in Mexico (75 degrees Fahrenheit). Look how beautiful! It’s good to be back home though, seeing as I had really missed my cat, my dolls, and I had a couple of packages waiting for me ^^. 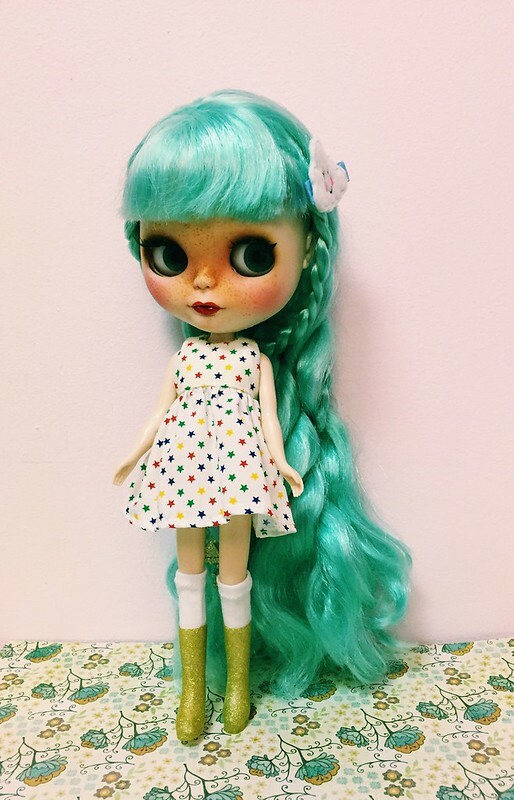 My Vintage Skipper clothes arrived and so did my Dolly Hair order! 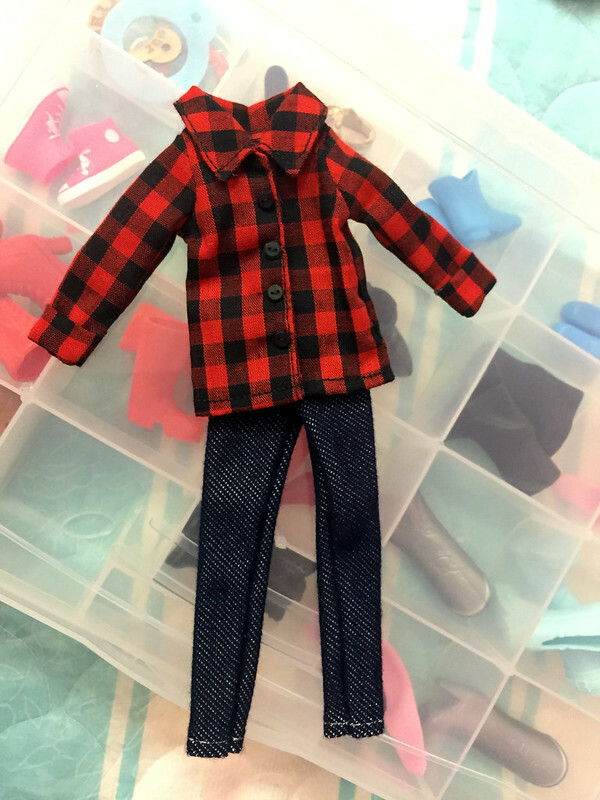 I gave the vintage clothes a gentle dunk in some slightly soapy water, so the red coat is wrinkly (will need to iron it). I thought the colors would be perfect for Valentine’s Day, and I have no outerwear for my girls. I put the tutu on Rory! Interestingly, the tutu has a zipper closure, as opposed to snaps or velcro. 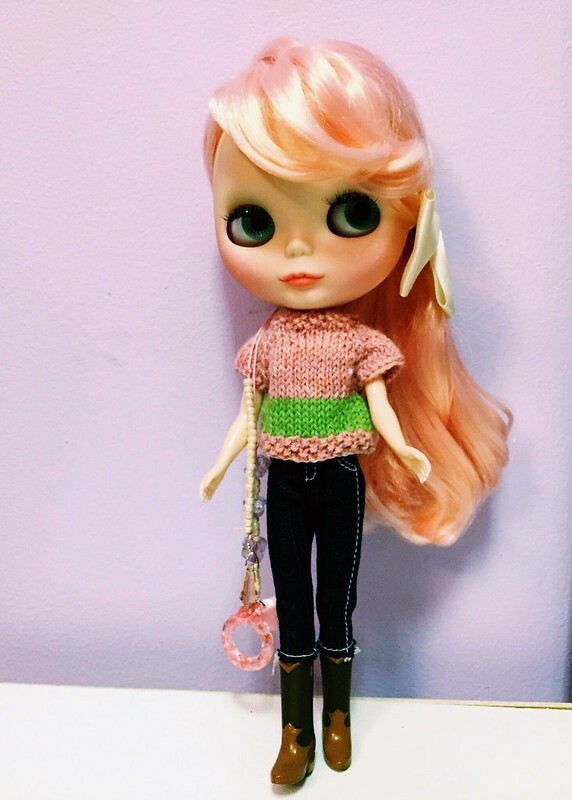 She is also wearing Licca shoes, mesh tights, and a hair clip that I made. 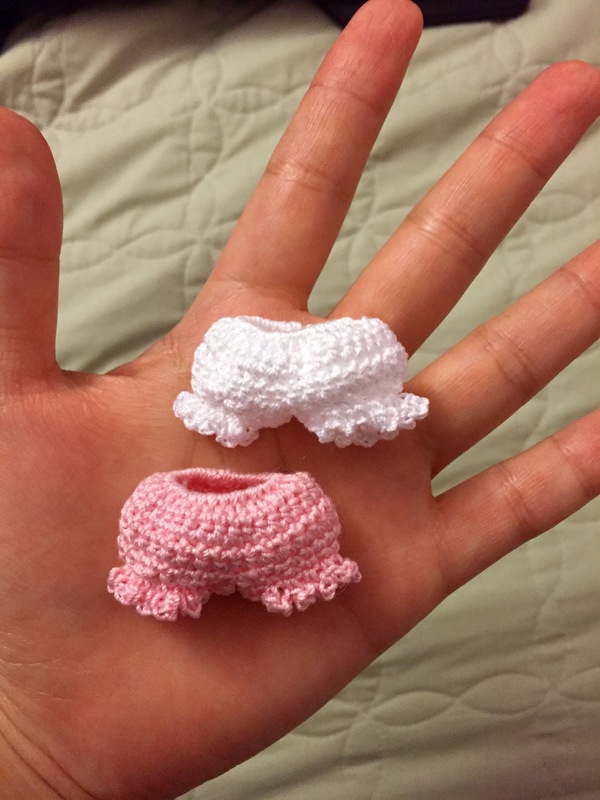 Crochet – the only way I know how to do. 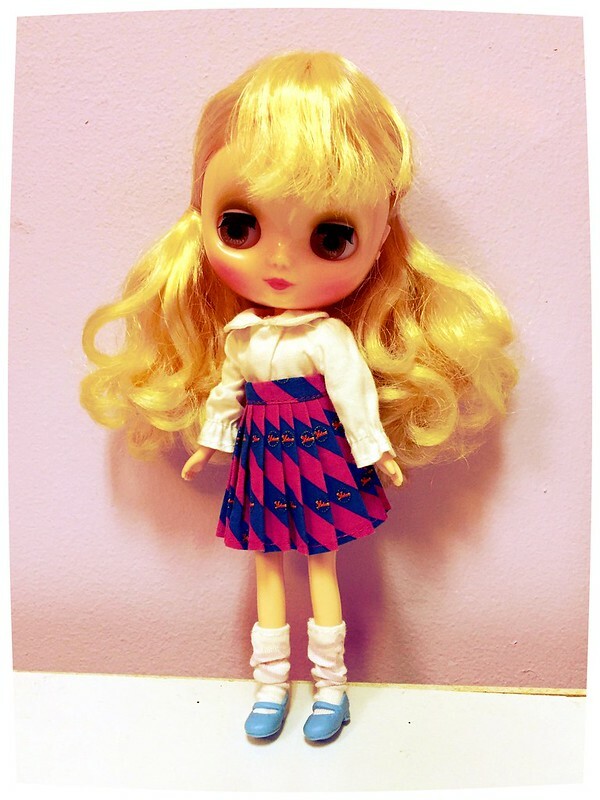 I tried the white Skipper flats on Rory, but they don’t fit on her wide Licca feet. 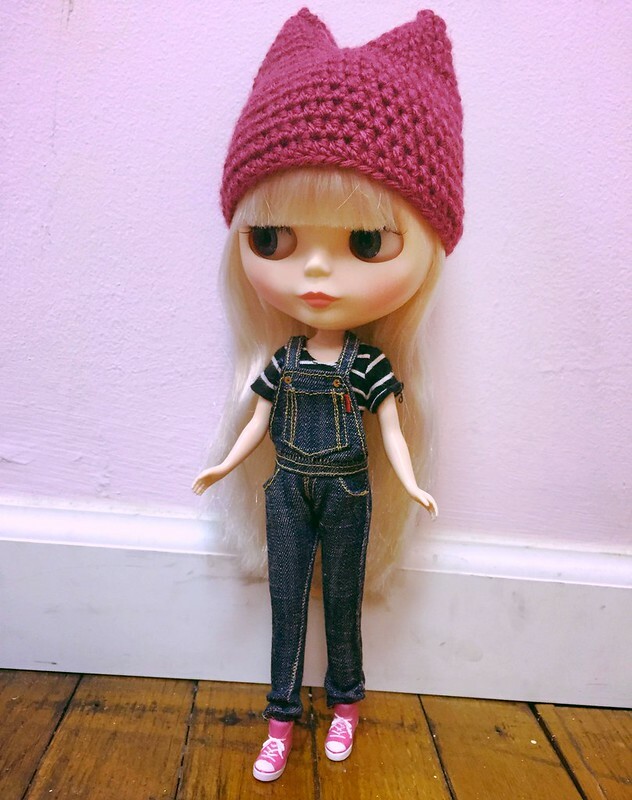 I have to try them on standard Blythe feet though! I’m feeling particularly lazy this three day weekend (technically an extension of my vacation), so I haven’t done anything but marathon shows and nap. 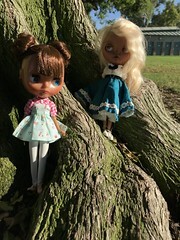 I’m attending a blythe meet on Monday, so hopefully I’ll have a ton of photos to share ^^. I view Christmas as a great reason to splurge on myself ^^. 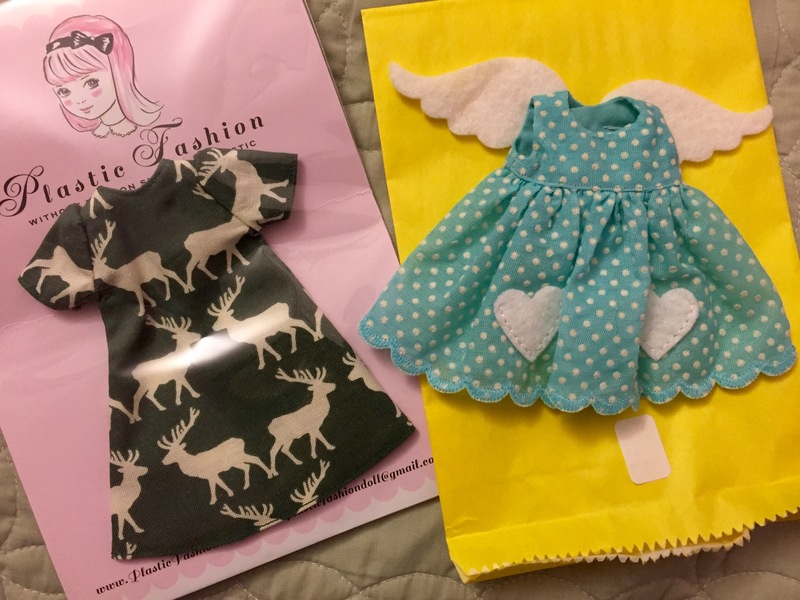 I had two dresses sitting on my closet, one from Plastic Fashion and one from Button Arcade. 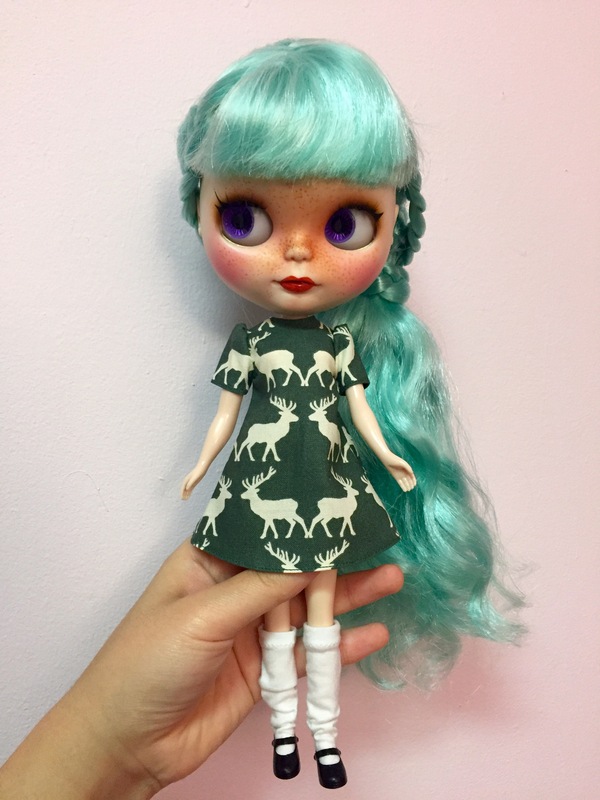 I purchased the Plastic Fashion dress specifically for Marina, and I meant to wait until Christmas Eve or Christmas to try the dress on her… But I caved. 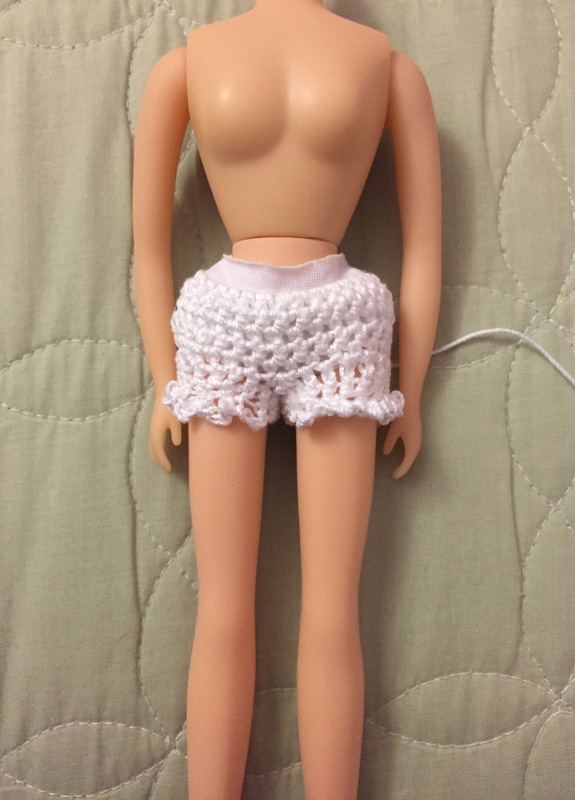 Marina’s style is lady-like, and a bit off-beat. I love the attention to detail on the dress, and the way the fabric pattern is carefully aligned. 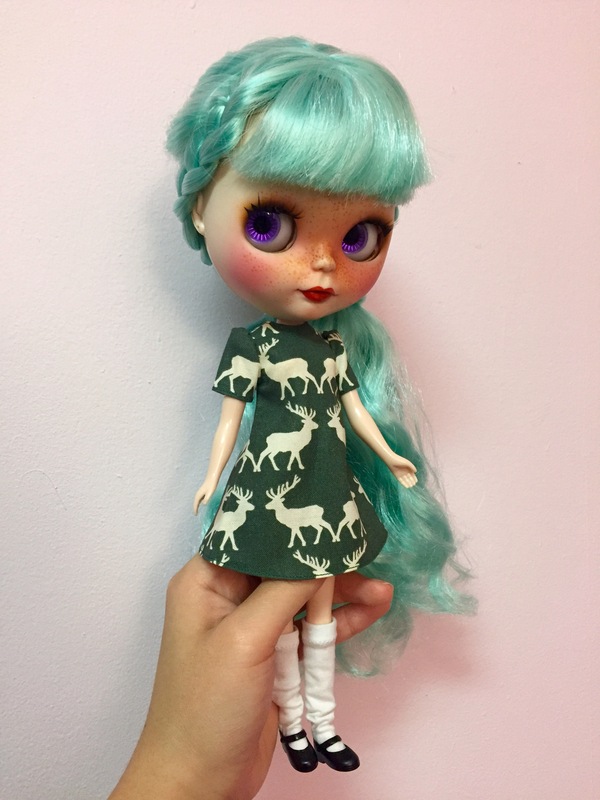 I’m saving the Button Arcade dress for my new Christmas girl ^^. Crocheted 32 single crochet onto the elastic. 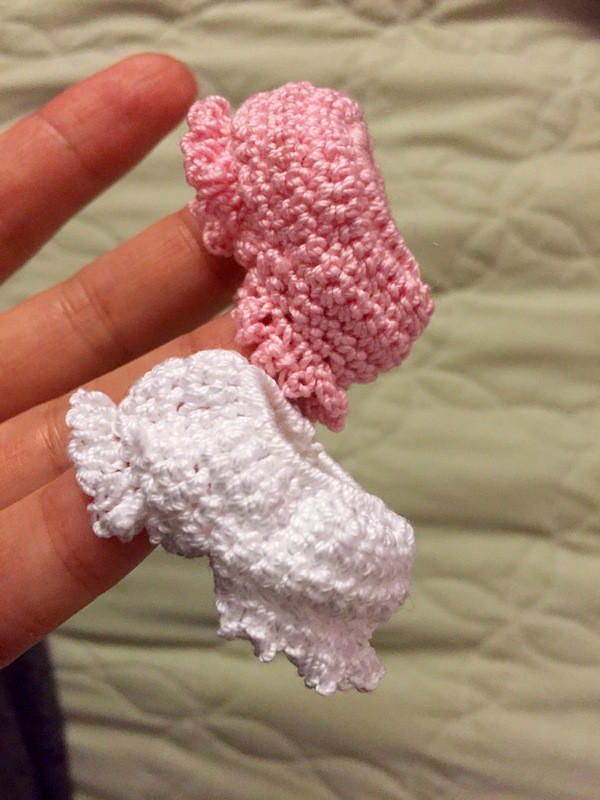 Skipped 15 instead of 14 when beginning the first leg hole, and double crochet 8 instead of 7. I think the undies are really cute! 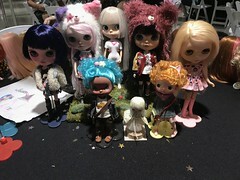 ^^ I will have more doll stuff to share later! I am expecting Finley back today (Yayyyy! 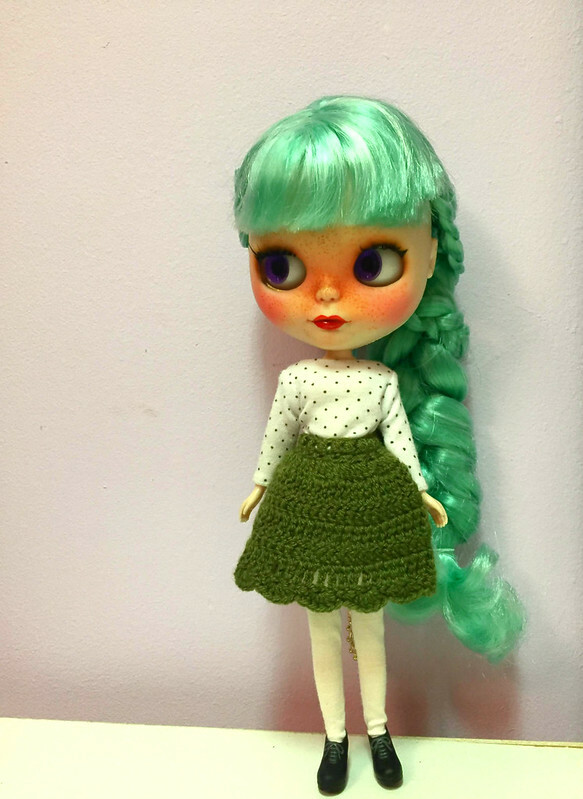 ), in addition to my new Christmas girl (:o). I haven’t found much motivation to redress my girls in a while. I felt a sort of defeat when I looked through my boxes of Blythe clothes and thought a few times “THEY HAVE NOTHING TO WEAR!” I also haven’t been happy with Rory and Rosaline’s outfits these past couple of weeks, which I think played a huge part in the thoughts I’ve had recently – that Rosaline is a bit lacking in cuteness compared to my other dolls and that Rory is forever having a bad hair day. 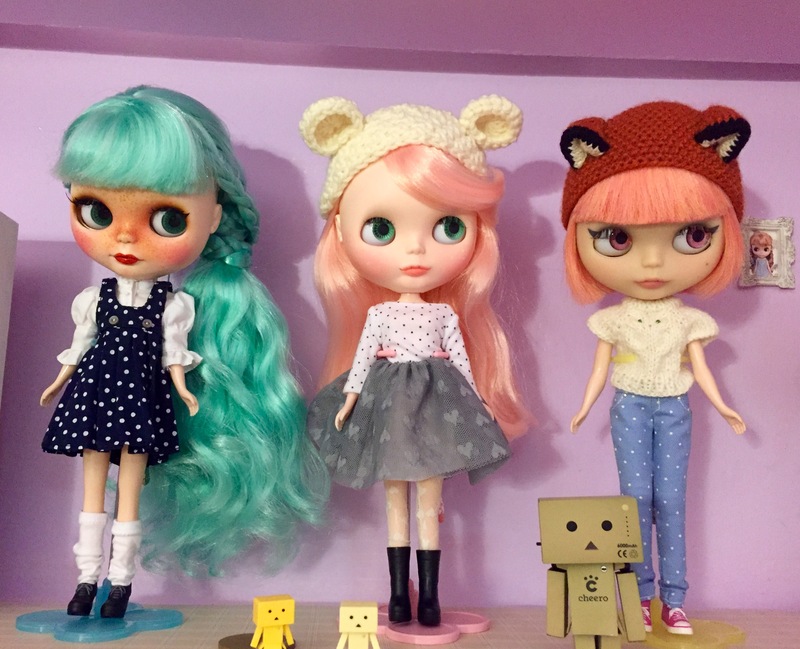 I finally forced myself to do a bit of decluttering in my Blythe wardrobe (I’m getting rid of 11 pieces), and I redressed my three girls. I’m happiest with Marina’s outfit ^^. She wins best dressed this time around as well. 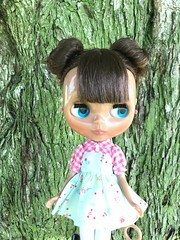 She is wearing a white blouse (I think it’s the stock blouse from Cute and Curuous), the Les Jeunette stock pinafore dress and shoes, and a pair of white socks. Simple and cute! 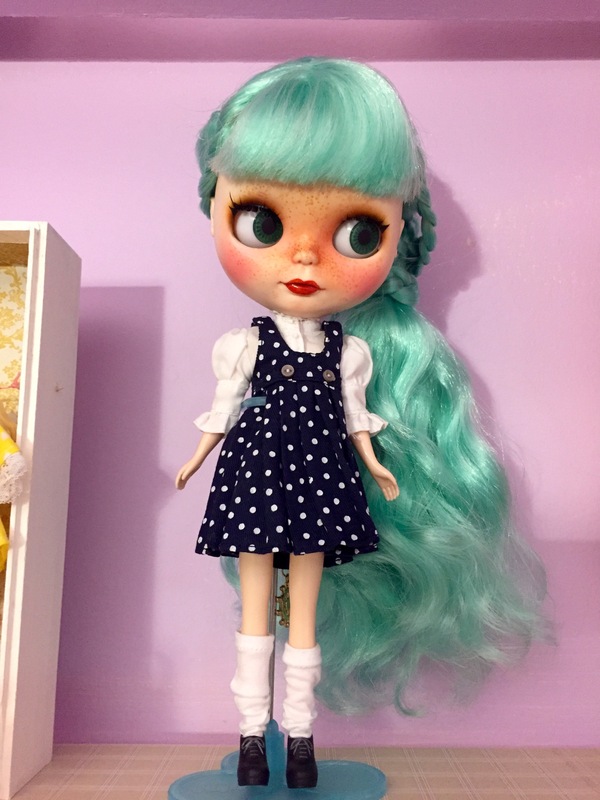 Rosaline looks MUCH better in this outfit than the grey knit dress she was wearing before (which made her look super bulky). 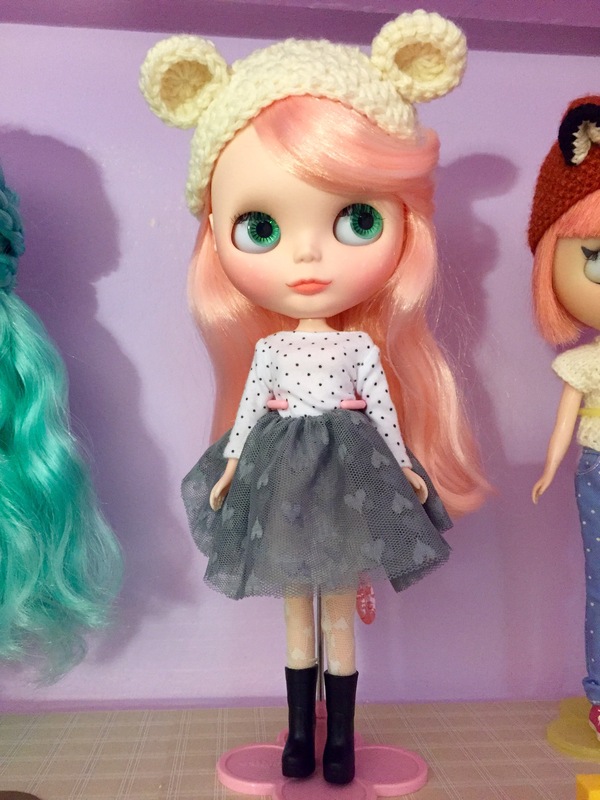 Rosaline is wearing Samedi Marche stock polka dot top, Zinotchika stock boots (I think), a MINIJIJO tutu, and a bear-eared headband. 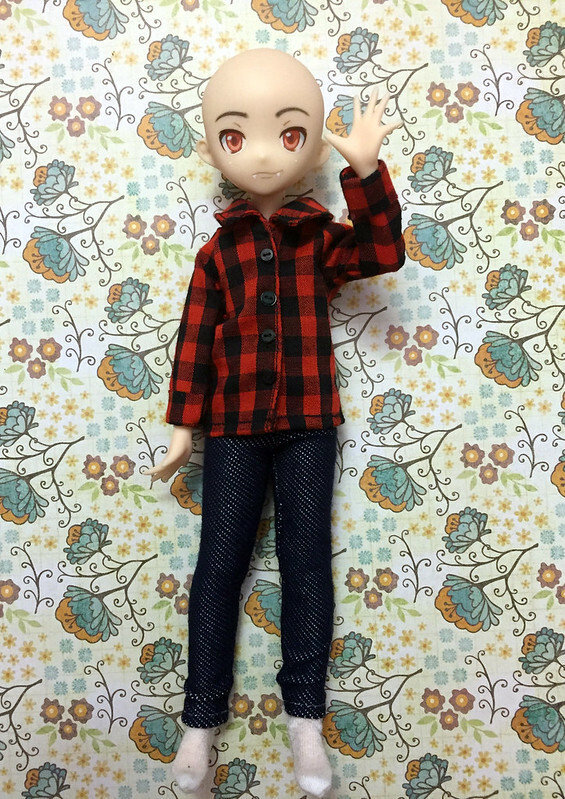 I feel like Rory always needs a hat or hair accessory >_< . 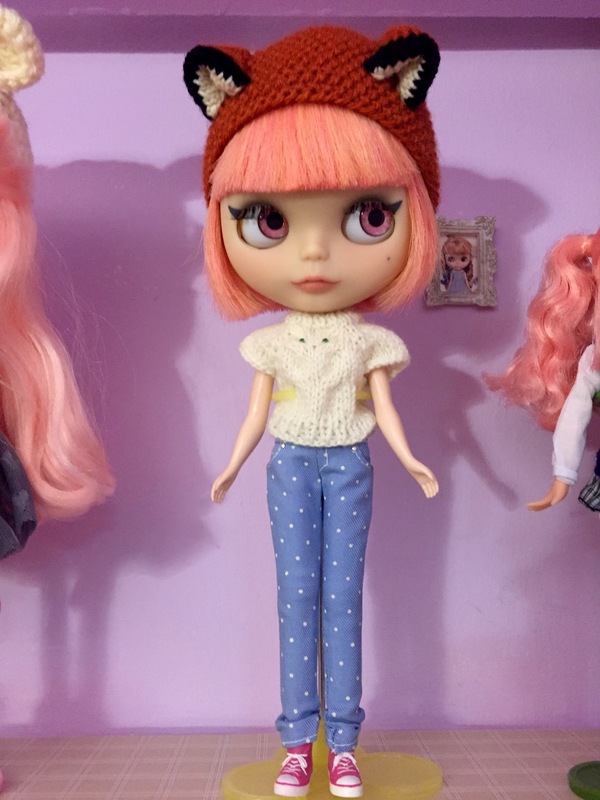 Rory is wearing a knitted top I won in a Blythe Life giveaway, pants from C’mon Dolly, pink converse shoes from Simply Guava stock, and a knitted fox -eared headband I bought at Blythe con. A group shot!